It is very appropriate that I just happened to randomly pick this album and am listening to it so close to Super Bowl Sunday. There is a great corelation between the Super Bowl and maudlin Ukrainian music. In my youth, the Super Bowl was played towards the end of January. The day of the big game always fell on the same Sunday when Ukrainians would hold this huge long event at Toronto’s Massey Hall to commemorate the date, January 22, of Ukraine’s short lived independence in 1918. So I never saw the Super Bowl as a young lad but had my fill rousing patriotic speeches and melodic Ukrainian music. Music similar to what is on this album. 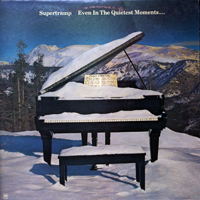 I love the cover of this album- it is by noted artist Edward Kozak from Detroit. It’s got just the right pathos that goes well with the music. The recording itself is actually quite good. A little too heavy with the orchestral arrangements for my liking but a nice sentimental thing to put on during the Super Bowl game. I have a new favourite grape. I used to, and still am, a big fan of the Malbec grape. I have never had a wine with this grape that I did not like. Now I also am a fan of this Garnacha grape. This wine did it for me. What a nice wine. It is smooth, flavourful and very pleasant to drink with a meal, just simply watching lazy snowflakes fall on frozen ground, or watching a capital city burn through the magic of the Internet – I’m watching you Kyiv. The wine does have a little bit of after taste, but it kicks in long after the wine has exited the esophagus and just at the right time that you would like another taste of the wine. So it is really not much of a problem after all. And the after taste is not really unpleasant – it is a hallmark of most inexpensive wines. Wines that have not aged, were never designed to age, were fermented with the expressed intent to provide a good product at a reasonable price. This wine is value, as are most wines that I try in the under 10 dollar bracket. You really have to spend a considerable amount more to be able to taste and feel the difference in quality. 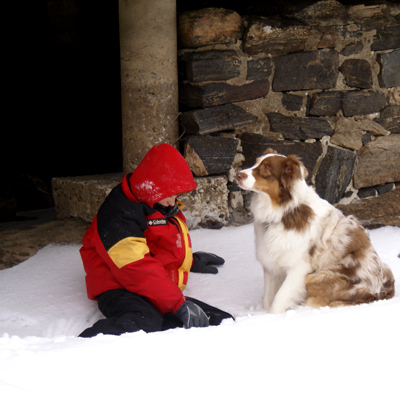 It was cold, but both the boy and the dog had fun in the deep snow. This is such a joyous album in a way. It really brings me back to my childhood. Well pre-teens anyway. The first guitar chords of Give a Little Bit, the first song, put a nice big grin on my face. That look did not leave until the end of Fool’s Overture, the last song. This is a damn fine album. Released it 1977, the same year one of my other favourite albums was released, Talking Heads 77. Perhaps I should organize my albums in the year they were released and see if there is any annual pattern to my musical tastes. My LPs are in a very random order – I gave up ordering them the last time I moved them from one corner to the other and built them a special metal shelf. 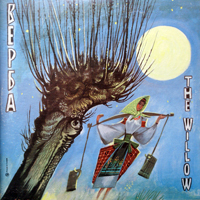 But back to this album – it is really interesting to listen to this music again. It is good. The songs are catchy, well crafted and not overblown or over produced. I was trying to come up with a novel category for Supertramp and came up with Progressive Pop Rock. It kinda fits. I don’t know why I have not seen, nor tried this wine earlier. This stuff is is inexpensive. Cheap even. It is under eight bucks for crying out loud. I was expecting some real rot gut but was surprised. It is not that bad at first taste. I guess that is what you get when you put your expectations real low. And in real terms, what can you really expect from a wine that is perhaps the least expensive in Ontario? I’m not gagging as I drink this. I am not making a sour face. But then again I am not thinking – WOW. This stuff is drinkable. After the second glass I have an after taste in my mouth that is not too pleasant. It is not disgusting mind you, it is just a taste that lingers and makes you think about your toothbrush and the selection of toothpastes that might be had in your bathroom. 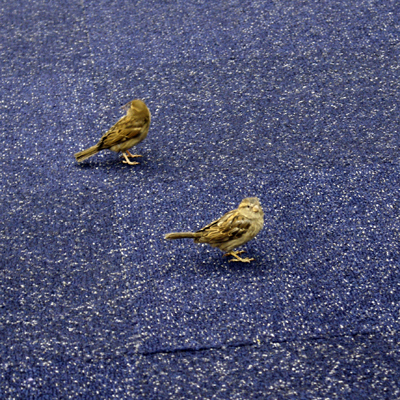 So I’m waiting in Terminal 2 of the JFK airport in New York and these birds started hopping around in front of me. I took a quick snap before they fluttered away. I then saw a group of about four of them perched on a railing. I’m used to seeing birds in rail and bus stations but this is the first time I saw birds in an airport terminal. I guess the US Homeland Security will have another scandal on its hands. I miss the days when there was music in the elevators. Well this is kind of like that music. Not exactly Muzak but quite close. There are so many elements of this record that give me joy – besides the music. These are “Those Fantabulous Strings.” What a word. Sort of like craptastic. I’ll be waiting for this word to comeback and go viral again. I love the figurines that represent Sonny & Cher on the cover. I’m not sure why the stars themselves did not show their faces for the photo shoot. They could have used finger puppets, but hand models cost money. I love the fonts on the cover. They don’t make them like they used to. 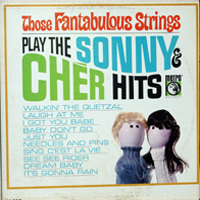 There is only one Sonny & Cher song that I know, I got you babe, so the rest of the albums “hits” are really anonymous. I recall seeing an episode two of the Sonny & Cher Show but I do not remember the music or anything else about the show. Except, of course, Cher’s outrageous outfits. Her outfits where somewhat memorable. The music on this album is largely forgettable.